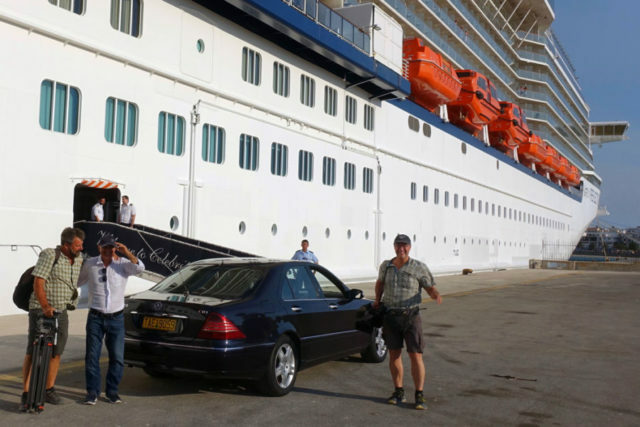 My TV crew and I just spent two busy weeks on a Mediterranean cruise. 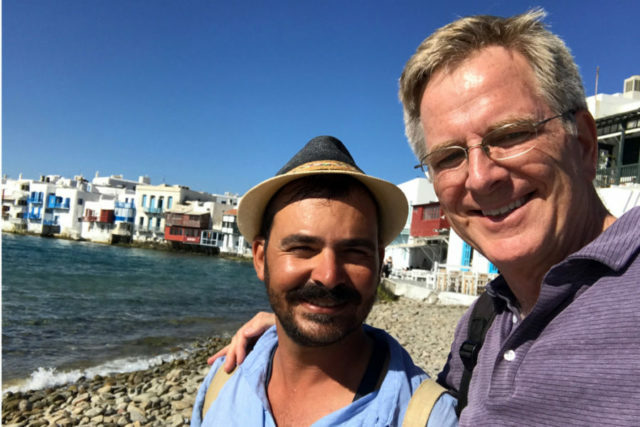 While our primary goal was to shoot a one-hour documentary about how to cruise smartly, we also used our shore time to shoot a new episode about islands in the Mediterranean. 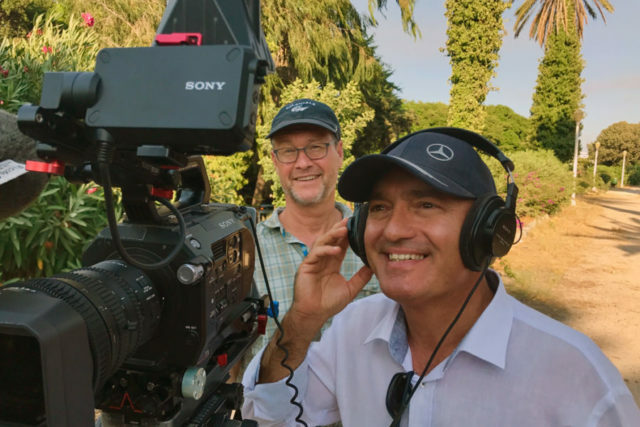 Our four days on Santorini, Mykonos, Rhodes, and Malta were filled with intensive filming. We were always among the first people off the ship and the last ones back on, 10 hours later. It is amazing how much you can accomplish during one day on shore (whether sightseeing or producing a TV show about that sightseeing) when you’re well organized. I don’t know these islands very well (and I’d never even been to Malta) — so the filming experience was a bit different than usual. 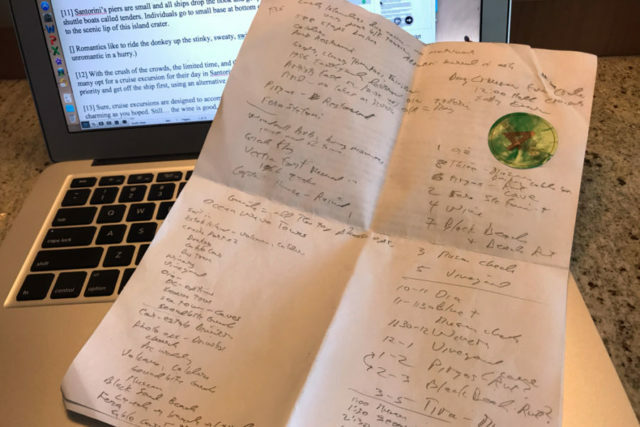 On each island, we would meet our local guide, show them my rough script, do a little scouting, consider the reality of our sail-away time, and then sit down and make a smart schedule to cover the sights. It was like a game: If we were smart, our guide was good, and the weather was clear, we could get what we needed. Fortunately, the weather was always good (they haven’t had rain since May) — and our guides were all excellent and excited about the project. A local guide would meet us at each port. They would bring their car literally onto the pier, in the shadow of our massive ship. (By the way, you can hire your own local guide with a private car for the cost of about four seats on one of the cruise line’s shore excursion bus tours). At each port, we’d chart out our options, needs, OCs (the “on-camera” bits when I talk directly to the camera), and all the content I wanted to work into the script. With our time limits, this was an exhilarating challenge for me — kind of a speed-chess version of script writing. My messy scribbling from Santorini. We intended to make a show about all four of the islands we visited, but the shooting went so well — and there was so much we wanted to share — that I decided to feature just the three Aegean Islands (Santorini, Rhodes, and Mykonos) in this show and save Malta for a future project. (It’s always nice to have something new and exciting available for a TV pledge special.) This way, we can do each island justice while still sticking to our limit of 3,000 words for a half-hour script. On each of the islands, we worked with a local guide who I really enjoyed. All of them make a living off cruise traffic and can be booked directly with ease: Nick Rhodes in Rhodes (request@rhodesprivatetours.com); Antonis Pothitos in Mykonos (info@delosguide.com); Dimitrios Nikolaidis in Santorini (info@oceanwavetours.com); and Amy Pace in Malta (pacee@vol.net.mt). Thanks Nick, Antonis, Dimitrios, and Amy for making us at feel home on each of your islands. Me and my Mykonos guide, Antonis Pothitos.